Denys Trussell is a living link to what we might call the heroic age of New Zealand poetry. In the decades after World War Two New Zealand was, as Allen Curnow said, a 'hard homeland' for poets. Instead of the grants and residencies that are today up for grabs, the state offered poets and artists of all kinds discouragement, and sometimes persecution. Poets like James K Baxter and ARD Fairburn responded to the strictures of their society with satire and polemic. They became public figures, as they lambasted the philistinism of their age. As a young man Denys Trussell befriended many of the important poets of the postwar era, and wrote a biography of ARD Fairburn. 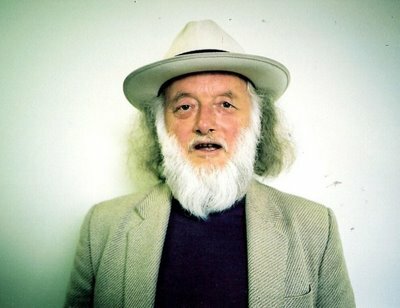 In his poems and his essays he channels the anger and energy of Fairburn and Baxter, and as the head of the Auckland branch of the New Zealand Society of Authors he does battle with the philistines of our era, who tend to use neo-liberal economics rather than religious dogma to justify their assaults on the arts. You can find more of Trussell's polemic here. Denya is good value. One of my daughters is a librarian. I agree the Council piss me off. Rates continue to rise each year and we don't get much from them and now they are downgrading the libraries. Denys has written some good books of poetry and is a critic and writer on art, and has taken me to task on a few things where we have disagreed on poetics etc, but his heart and mind are in the right place. As well as poet he is a very good pianist I believe. Poetry has always been my field of interest. I even tried to write my own poetry once. I guess it turned out pretty well, but not as good as Denys’, of course. I would also like to tribute this great author and write about him at NYC Resume Services where they are known to love good essays.